Welcome to our journey - a Retreat of Mindfulness and Empowerment for Women, especially in these times. We deepen our physical and emotional wisdom with mindfulness meditation and movement, gentle yoga, art, music, poetry, and playfulness. Letting go, moving forward, all with deep inner peace. We nurture our senses, create energy and balance, and enjoy our creativity. Being present, being true to ourselves, being Wise Women! 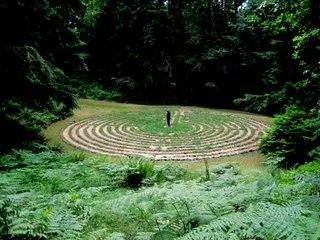 At this retreat at the Whidbey Institute, we will be nurtured by a lush old growth forest, a serene sanctuary, a lovely labyrinth, and fabulous food. The retreat will begin with dinner on the evening of Friday, May 31st, and conclude after lunch on Sunday, June 2nd. Please use the Form under Registration and Contact Information to register for workshops and retreats. Thank you.